Todd is a principal of Southern Financial Group, a Financial Planning and Investment Management firm in Birmingham, AL. He also currently serves as the Chief Financial Officer of the firm. 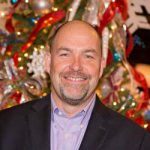 He is a graduate of Auburn University and has over twenty years of experience in the financial planning and investment management field. 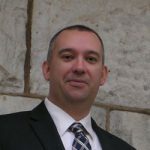 Todd is a Certified Financial Planner professional, a Certified Public Accountant, and a Personal Financial Specialist. He is a member of the American Institute of Certified Public Accountants and the Alabama Society of Certified Public Accountants. He holds securities and insurance licenses and is registered with the Financial Industry Regulatory Authority. Todd specializes in personal financial analysis, income and estate tax planning, investment management, and education planning. He serves numerous corporate and individual business clients. Todd and his wife Ashley have three children, Drake, Savannah, and Colt. The Holder’s live in Hoover and attend Church of The Highlands.